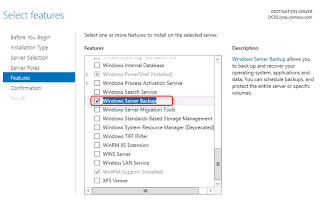 To add and manage servers in domain environment, we need to perform the following steps. 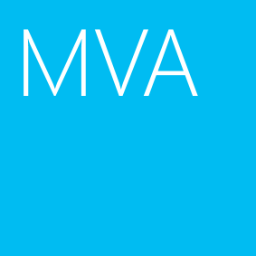 We need to manage DC02 in the Server Manager of DC01. 3. Click "Add other servers to manage". 4. On "Add Servers" window, next to "Name (CN)", enter "DC02". 6. Select "DC02" and then click ">" icon. 8. On left pane, click "All Servers". Now, we can manager DC02 by Server Manager of DC01. Remark: If you get "Refresh failed" on Server Manager, make sure the firewall rile in servers was enabled "Windows Remote Management (HTTP-In)" for domain profile and the user who manages the server has enough right. 1. On Server Manager of DC01, right-click "DC02" and then select "Add Roles and Features". 3. 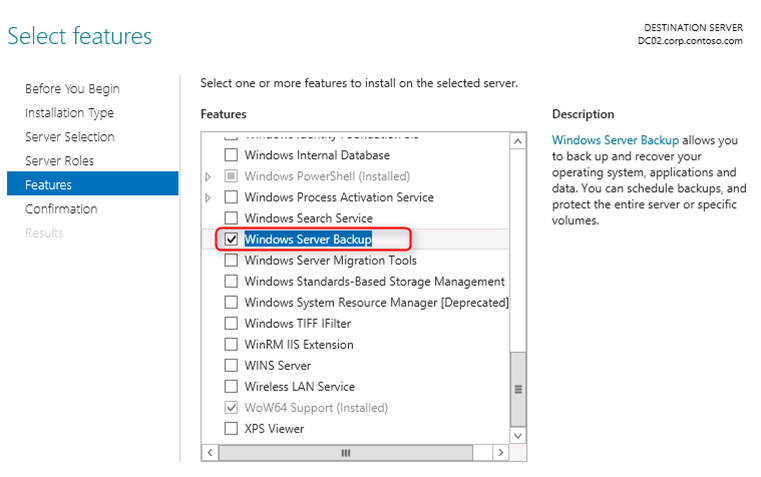 On "Features" window, check "Windows Server Backup". 8. Perform "Enter-PSSession -ComputerName DC02" to enter the remote session of DC02. 9. 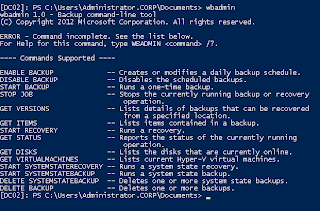 Perform "Get-WindowsFeature -Name *backup*". 10. 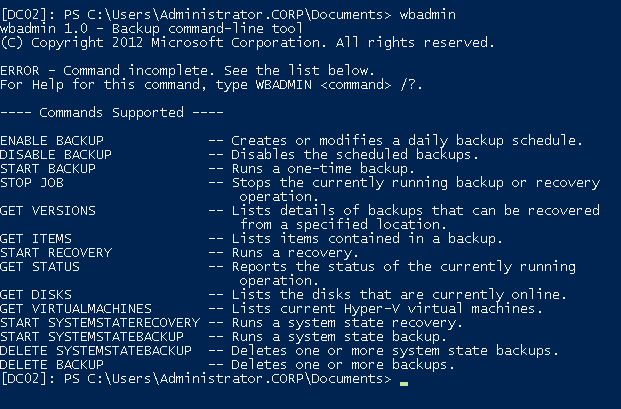 Perform "wbadmin" to verify Windows backup feature in DC02. 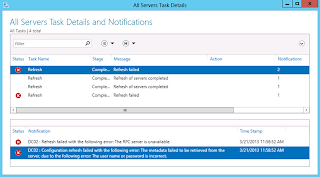 As a result, we can use Server Manager and PowerShell to manage DC02.